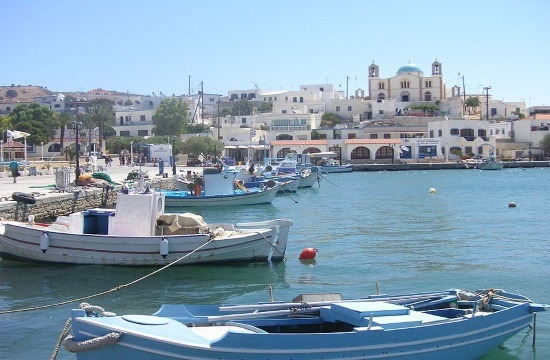 The municipality of Lipsi island is organising a series of actions and initiatives in cooperation with the Greek National Tourism Organisation in the Netherlands with the support of the island's professionals in an effort to tap the Dutch market, ANA reports. A detailed presentation of the island took place in Roosendaal, a city that along with its neighbouring cities forms a robust part of the Dutch economy that can 'feed' Greece with quality travelers with special interests and a high educational and social background, according to a municipality statement . A series of alternative activities on the island, such as cycling and hiking, local products, traditional wine, as well as improved accessibility to neighboring famous island destinations such as Patmos and international airports, especially Kos, made the destination particularly attractive to the professionals who always look for new proposals for authentic holidays in Greece.